Surbiton Hills Apartment is a Deluxe 2 bedrooms and 2 bathrooms accommodation and is located between Surbiton and Kingston upon Thames and is 1 mile away from Hampton Court Palace in an area where cycling can be enjoyed. The apartment provides a garden as well as free WiFi, flat screen TV and underground carpark. The closest station is Surbiton Train Station that gives you fast and easy access to Central London. The apartment consists of 2 bedrooms, a kitchen with dining area, and 2 bathrooms with bath. The apartment offers a terrace and patio. A bicycle rental service is available at Surbiton Hills Apartment. 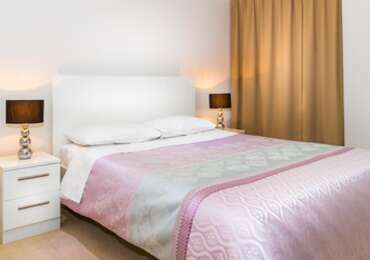 Kingston University - Penrhyn Road campus is 650 yards from the accommodation. 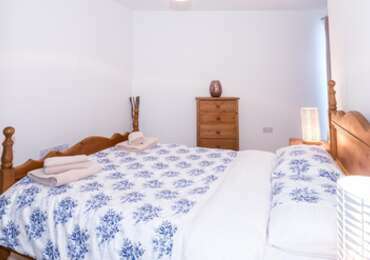 The nearest airport is London Heathrow Airport, 8.1 miles from Surbiton Hills Apartment. Luxurious 2 Double Bedrooms 2 Bathrooms Apartment which offers all the modern facilities like open plan kitchen and dining area, flat screen satellite TV, free Wi-Fi,washing and drying machine,gated underground carpark, outdoor patio area and easy wheelchair access. Surbiton Hills Apartment accommodation is a 2-bedroom and 2-bathroom apartment, with a fully equipped kitchen that includes a dishwasher, oven, fridge with freezer, microwave, toaster, kettle and Nespresso coffee machine.The bathrooms are fully equipped with toiletries and towels. The apartment provides a large open living space and dining room area with a large flat-screen TV including Sky and Satellite channels. Free wireless optic fibre broadband is available in the whole premises. Double En-Suite Room in the Deluxe Apartment.